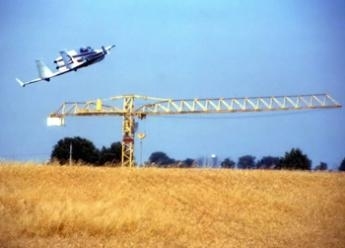 After his stint at Bede, it would have seemed logical for Rutan to do a jet Vari-Viggen... Yet this amazing bird was done in France! as shown by the F-W*** temporary registration. 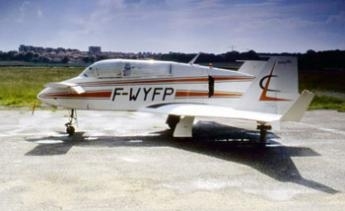 The MicroStar was a unique jet variant of Rutan VariViggen SP developed in France by Mr. Léo Chagnes. It resulted from the collaboration between two companies: Microturbo and Chagnes's own STAR ; the name MicroStar was a mix of the two. 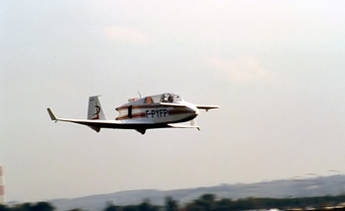 Microturbo was in charge of propulsion, airframe construction and fitting of two 200 lb. 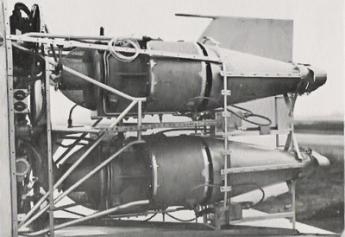 Turboméca (Microturbo) TRS18-046 turbojets which were mounted above each other in the rear fuselage. The fitting of jet engines required to modify the rear end: the cutout in the wing trailing edge for the turning propeller was closed. The resulting increase in wing area made it necessary to add 20 cm to the front canards. Construction started in 1976. 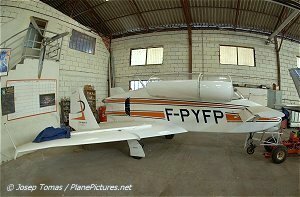 The fuselage was made of spruce wood with African birch plywood covering.The air intakes were made of fiberglass, while the engine cowling was metal. Electronics were fitted just ahead of the engines, with access hatches. The engine units were separated from the rest of the aircraft by three firewalls. The baggage compartment, located behind the rear seat, was replaced with a 200-liter fuel tank to complement the two 35-liter ones located within the wheels. 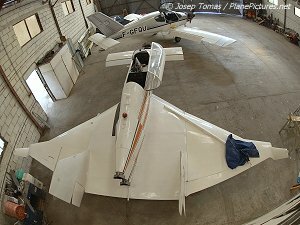 The wing was built in a similar fashion to the VariEze, being made of Styrofoam cut with hot wire and coated with epoxy. 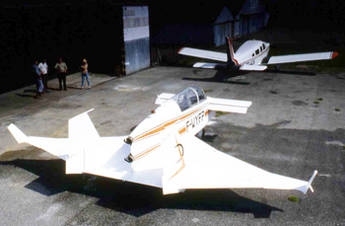 The MicroStar also featured small winglets constructed in similar fashion. The wheels were taken from a Cessna 150. 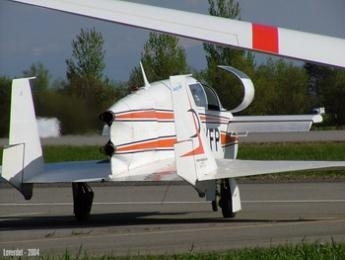 Front wheel was matched with the rudder. The whole wheel train was retracted electrically with alternative hand controls provided. 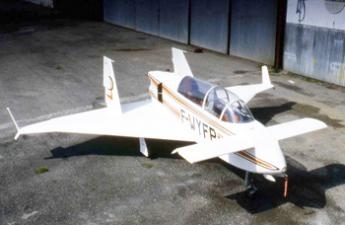 It took Léo Chagnes four years to built the MicroStar, exactly the same time it took Burt Rutan to build his VariViggen prototype. 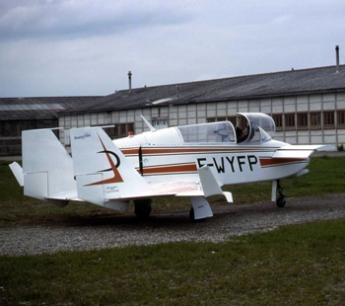 After over 4 hours of taxiing and hopping, Chagnes made the first flight of the MicroStar (registered F-WYFP) on July 20, 1979 (other sources give it as July 23). 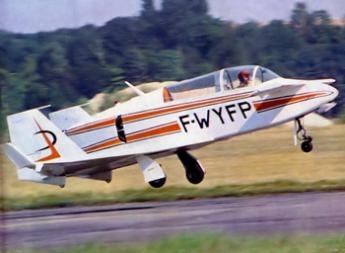 The aircraft was later registered F-PYFP to indicate its move from experimental to private status. 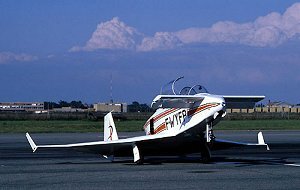 Burt Rutan himself flew on board the MicroStar with Jacques Costes on December 19, 1981. Many thanks to Walter van Tilborg for his contribution. 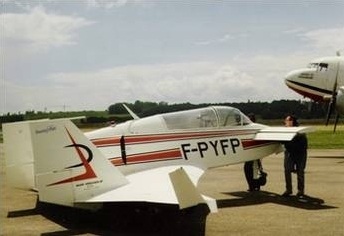 Léo Chagnes started his career in aviation as a mechanic for the Dewoitine factory in Saint-Martin du Touch (currently the site of the French AIRBUS factory). 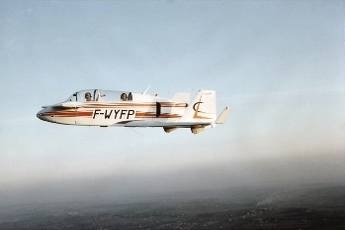 His passion for piloting was revealed after his family treated him to an initiation flight in the Cannes area. 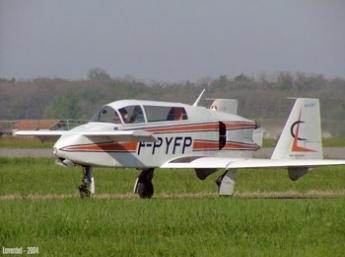 This prompted him to learn flying at the Toulouse-Labordes airfield. He was 30 years old at the time. Chagnes's very first construction, which received an Air Ministry reward, was a Druine Turbulent. He subsequently constructed an Emeraude and restored a Fieseler Storch, and found a job as a mechanic at the Aeroclub du Languedoc, also located at the Labordes airfield. 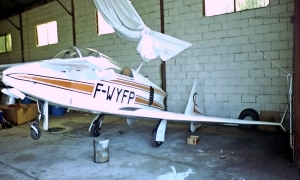 He then set up his own uphaul and repair business under the name STAR (Service Technique Aéronautique et Routier), and in 1976, aided and abetted by Microturbo, he began work on the his MicroStar, based on the Rutan Vari-Viggen. 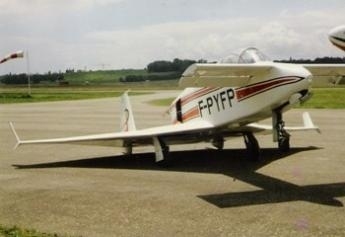 Chagnes's latest construction effort was a Bréguet XIV replica which flew in 2003. 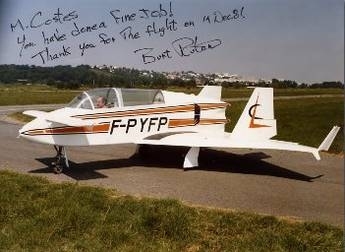 A photo of the MicroStar autographed by Burt Rutan.